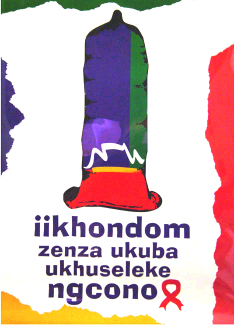 This exhibition features sixty posters made in Africa to address the HIV/AIDS crisis. The posters are on loan to A+D Gallery from The Melville J. Herskovits Library of African Studies at Northwestern University, Evanston, IL. The exhibition was organized by Dr. Kate Ezra and the students in her fall 2006 class "Theory and Practice of Art Exhibitions" at Columbia College Chicago. The students who helped create this exhibition include: Andrew Breen, Heather Burke, Nickol Ferris Burrell, Colleen Feeney, Rachel Fischer, Lindsey Groves, Marilyn Lara, Rachel Lechocki, Brandi Lewis, Amanda McKenzie, Zurii Mershant, Morgan Minear, Sarah Muñiz, Melissa Peifer, Erin Polley, Jaclyn Robbins, and Kelly Stinson. HIV/AIDS has had a greater impact on the continent of Africa than anywhere else on earth. 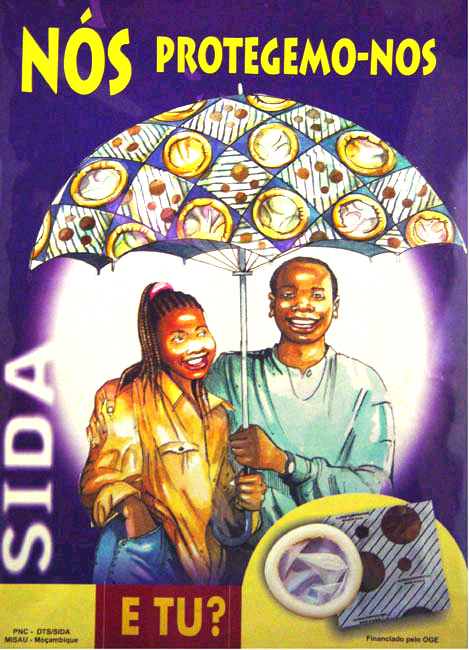 African posters concerned with HIV/AIDS education, prevention, and treatment provide a unique opportunity to examine how the disease is presented to the African public and to understand the attitudes and issues that shape strategies for dealing with it. 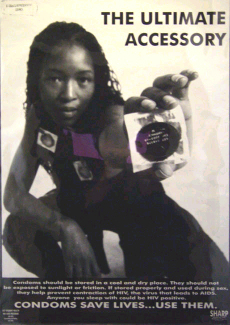 This exhibition will explore the active role of African visual culture in confronting the AIDS crisis. Pandemic in Print is presented in conjunction with Critical Encounters, an ongoing series of year-long college-wide examinations of important social issues that challenge and complicate the thinking of all members of the Columbia College Chicago community. 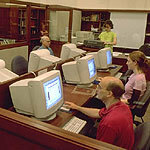 The focus of Critical Encounters for 2006-2007 is HIV/AIDS. Mardge Cohen is a senior physician at John H. Stroger Hospital in Chicago and founder of WE-ACTx, an organization that provides treatment and advocacy for HIV infected women and children in Rwanda. Sponsored by A+D Gallery, Department of Art and Design, in conjunction with the Department of Liberal Education, Columbia College Chicago. Chaz Maviyane-Davies is a graphic designer from Zimbabwe who focuses primarily on issues of human rights, social justice, health, and the environment. He is currently a professor at the Massachusetts College of Art in Boston. Sponsored by A+D Gallery in conjunction with the Art Talks Lecture Series, Department of Art + Design, Columbia College Chicago. 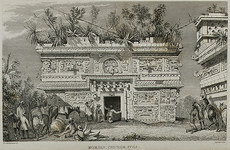 This exhibition is sponsored in part by a grant from the Illinois Arts Council, a state agency. 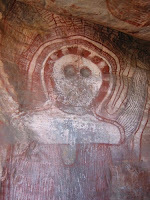 When approaching an image of Wandjina, the spirits that are believed to have created the Aboriginal tribes of the Kimberley on Australia's northwest coast, certain protocols should be followed: typically, a shout out to warn the Wandjina of your approach is appropriate. 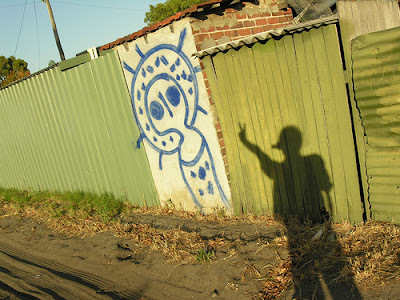 Stenciling or spraypainting the image on city walls is not. 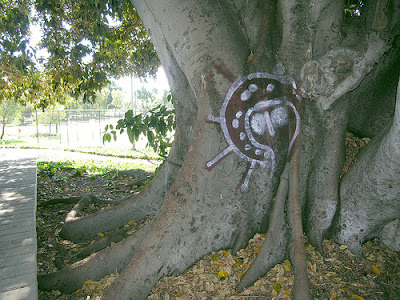 Only a select group of Aboriginal elders have permission to paint the spirits' image, and they typically do it on tree bark or cliff walls; nonetheless, Wandjina art, most notably appearing on ancient rock art (above), is appearing on alleyways and carparks in Perth, prompting concern from some Aboriginal els. Irving Feller in the back room of his fur shop in Greenpoint, Brooklyn, with a painting of his wife, Selma. EVEN IN A CITY full of talented people with eclectic interests, Irving Feller’s combination of work and obsession stands out. Mr. Feller is a furrier by trade and an abstract artist out of love. He can make a sumptuous fur coat from scratch as easily as he can create jarring works of pattern and color. And both pursuits are informed by his passion for American Indian culture. All this has transformed his family’s fur business, started in 1916 by his father, into an unexpected preserve of one man’s vision. Among the furs, paired with Mardi Gras beads draping the window’s mannequin to celebrate the new year, are a trove of artifacts: turquoise rings, a feathered headdress labeled “Child’s War Bonnet” and hand-sewn baby moccasins. Pissed-off Maori: Imitation, inspiration or appropriation? 2006 has seen a rash of advertising and design taking inspiration - with varying degrees of offensiveness - from Maori art and culture. An Italian ad for the Fiat Idea showing a group of black garbed women performing a mock haka has gone to air despite warnings of cultural insensitivity from NZ diplomats. According to Brad Tattersfield of NZ's Ministry of Foreign Affairs and Trade, "we advised the advertising company that the use of Ka Mate in this way was culturally insensitive and inappropriate. MFAT advised the advertisers to either use a Maori group or a haka composed for women. However, the advertising company indicated they were proceeding despite this advice." In the US, an American developer's proposal to build a Maori-themed apartment complex in Texas has divided Maori opinion. While activist Ken Mair calls the plan "cultural theft and possibly theft of intellectual property" author Alan Duff thinks Maori have bigger problems to worry about: "Greece is not up in arms because Las Vegas did Ancient Greece themes in their casinos. Why are we so precious about things that don't count?" 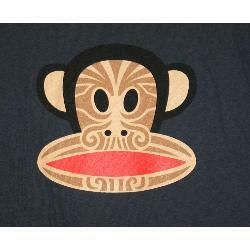 Finally, cult US fashion brand Paul Frank has released a T-shirt print titled 'Warrior Julius,' depicting its distinctive monkey mascot with a full facial moko. NEW YORK. A proposed Maori-themed apartment complex outside Dallas recently served as a platform for the New Zealand natives to proclaim their pride. In June, after California-based Legacy Partners announced plans to build a residential complex featuring Maori themes and folk art in suburban Plano, the company received dozens of emails charging the company with "cultural theft." Complaints centered on the name of the complex, "Kiora Park," taken from the Maori expression of welcome. The problem was that the phrase is properly transliterated as "Kia Ora." "How many more mistakes will there be?" Maori Party co-leader Tariana Turia asked. "We're all very proud of the culture and more than willing to share it with people who come here, but to have it transplanted into Dallas, that sounds a bit incredible," she said. No harm was meant, explains Richard Brownjohn, a vice president in Legacy's Dallas office. "Our marketing people thought it had an unusual ring but was something people would easily pronounce. It was spelled as one word at first because Americans might butcher the spelling and we wanted it pronounced right. We didn’t think it would get Maoris upset," he says. The name was quickly changed to "Kia Ora Park". 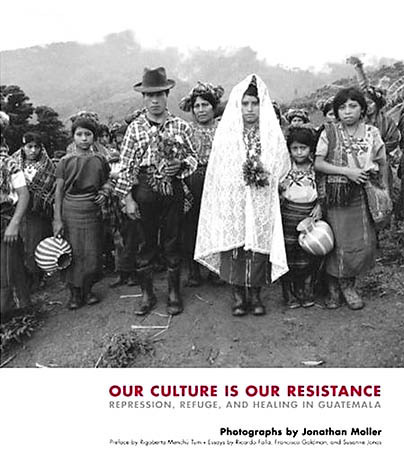 The photographer and human-rights activist Jonathan Moller (b. 1963) first went to Central America in 1991, where he contributed to "El Salvador in the Eye of the Beholder," the celebrated exhibition documenting the war in El Salvador. In 1993, he began working with indigenous Mayan communities in Guatemala who had been uprooted by the country’s brutal civil war and were living in the remote countryside as clandestine, mobile "Communities of Population in Resistance" (CPRs). 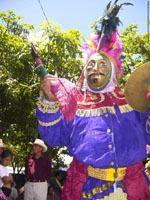 Though not rebels, the campesinos were targeted by the Guatemalan military in a "scorched earth" campaign that wiped out over 450 villages and killed some 200,000 people. A member of the Foreign Press Club of Guatemala, in 2000-2001 Moller worked as staff photographer for a forensic anthropology team of the Quiché Catholic Diocese's Office of Peace and Reconciliation, documenting the exhumations of clandestine cemeteries. Though the Guatemalan civil war was ended in 1996 by a UN-sponsored peace accord, Amnesty International reports continuing human rights concerns and extreme social inequality in the country. There is the loveliest story in the NY Times today about Yuki Endo, a young man who lives on the Upper Side and how he loves the city so much. The article, in fact, is titled, "He Loves New York, and It Loves Him Right Back," as Endo has befriended pretty much everyone in his neighborhood, from firefighters to security guards at the Metropolitan Museum of Art, from classmates to people he meets on the subway, as he lives the city. Endo is disabled, born without chromosome 18, which "makes it hard for him to speak clearly." Even still, for living in the city for 10 years, Endo might know the city better than most New Yorkers. Yuki is fascinated with the tiniest of the city's intricacies: the toll-free number (#3333) dialed at subway pay phones to hear automated service information and changes; the elevator at the Met that people often confuse for a gallery room when the doors are open because of its wood paneling and display case; the long-forgotten news that earlier this month southbound F trains were operating on the D line from West Fourth Street to Coney Island-Stillwell Avenue, an announcement of which Yuki carried in his backpack. He's a kindred spirit! It's an incredibly moving and inspiring story. Gothamist wishes the best for Endo, because he certainly inspires that in us. L: George Preston at the Museum of Art and Origins, in his brownstone. 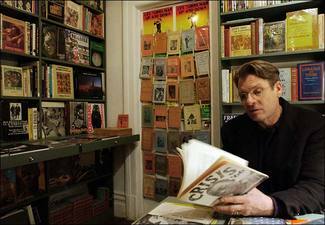 R: Kurt Thometz in Jumel Terrace Books, a room in his brownstone. 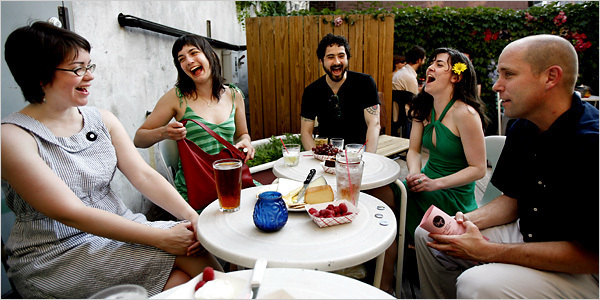 Neighbors often cooperate to improve the quality of life in their neighborhood. George Preston and Kurt Thometz, who live two blocks from each other in Jumel Terrace at the top of Sugar Hill in Harlem, simply chose to do it in a slightly unusual way. 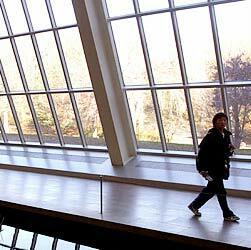 On Nov. 10, they opened two new cultural institutions - in their homes. Their dual opening night drew an array of literati, artists and intelligentsia, who made the two-minute stroll between the homes. The chain-smoking humorist Fran Lebowitz chatted with the Nigerian author Emmanuel Obiechina. Robert Farris Thompson, dean of African studies at Yale, signed a copy of his new book, "Tango: The Art History of Love," for the hip-hop legend Fab Five Freddy Braithwaite. The Harlem writer Playthell Benjamin, the soul music producer Billy Jackson (who co-wrote the Tymes' 1963 hit "So Much in Love") and Rachel Robinson, the widow of Jackie Robinson, mingled. Mr. Thometz said he and Mr. Preston were following an old and recently revived Harlem tradition of holding art exhibitions, literary salons and musical soirees in the home. At least 30 art galleries are currently operating in homes throughout Harlem. A few blocks from Jumel Terrace, Sherman Edmiston, a premiere dealer in the works of Romare Bearden, has operated Essie Green Galleries in his Convent Avenue brownstone since 1987. Around the corner from Mr. Thometz, the jazz musician Marjorie Eliot is host to weekly concerts in her Edgecombe Avenue apartment. Turning his home into a museum of African art (also open by appointment, with a $5 entrance fee) seems a natural step for Mr. Preston, who as a 21-year-old Beat poet opened the legendary Artist's Studio, a storefront on East Third Street. There, during its one year of existence in 1959, he was host to readings by Jack Kerouac, Allen Ginsberg and Frank O'Hara. 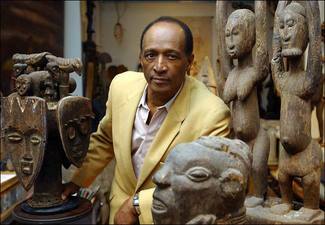 He made his first trip to Africa in 1968, doing fieldwork in Ghana toward his Ph.D. in art history from Columbia University, and built his collection during numerous visits since. 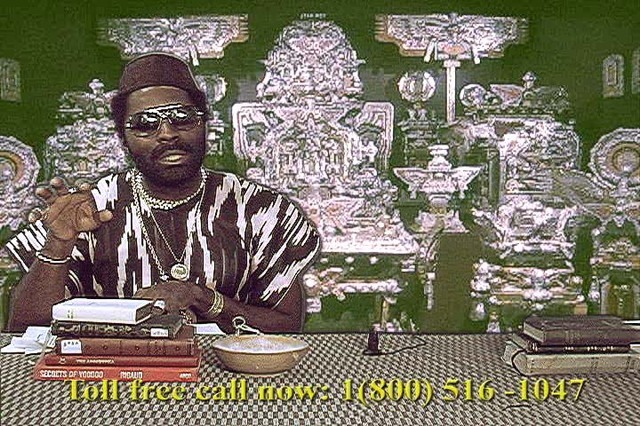 In 2001, the Akan tribe of Ghana made him a chieftain, in a ceremony that involved holding dried herbs in his mouth for four hours. "That's because one of the first things for a chieftain to learn is how to keep his mouth shut," he explained. The arts of many tribes and periods crowd the rooms of his brownstone in warm, intimate profusion. 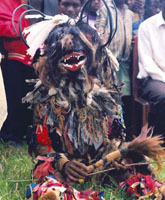 Massive ceremonial masks painted in bold geometric designs glare down from the walls above tiny ancestral figures with exquisitely expressive faces; an Egyptian mummified falcon guards a doorway; a Chokwe chief's tobacco pipe, 40 inches long, has been rubbed to a glistening patina by many years of use. This is a museum where the curator gives the tour, explaining the provenance and meaning of every object. Mr. Preston and Mr. Thometz are now planning collaborative exhibitions, lectures and musical events with other brownstone cultural institutions in the area. Mr. Thometz was hesitant to declare it a new Harlem Renaissance, then added, "But I can't resist calling us the new Sugar Hill Gang."